Siding is one of the most important investments you could make in your home in the Madison, Wisconsin, area, and at ABC Seamless Home Specialists, we don’t take that lightly. That is why when you partner with us, we will provide you with top-of-the-line siding that will beautify your home’s exterior and safeguard it from the elements for many years to come. We are a family-owned company that has been serving local homeowners since our founding in 1975, and we have a stellar reputation for providing nothing but the best. In fact, we have an A+ rating with the Better Business Bureau as evidence of our commitment to excellence. Seamless – Our steel siding will be fabricated onsite to fit the precise dimensions of your home. This eliminates unsightly seams and not only helps your cladding look better, but also makes it resistant to drafts, leaks, and the infiltration of pesky insects. Attractive – Compared to standard cladding, steel offers many profile, style, and texture options so you can choose a look that complements your home and suits your taste. Low maintenance – You won’t need to spend your weekends scraping and painting your siding in order to keep it looking like new, since this cladding is incredibly durable and made to withstand the elements. Furthermore, we back our cladding with a lifetime transferable warranty, so you can feel confident that your investment is protected. 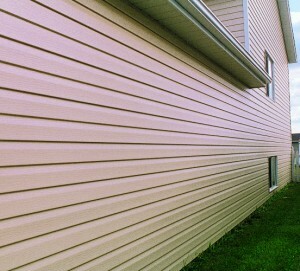 To learn more about our seamless steel siding, contact ABC Seamless Home Specialists today. We are proud to serve homeowners in Madison, WI, and beyond.